Get yourself some cowboy style with outdoor practicality. With waterproof leather/membrane and a moisture-wicking lining, these Work Boots are meant to keep you dry from moisture inside and out. 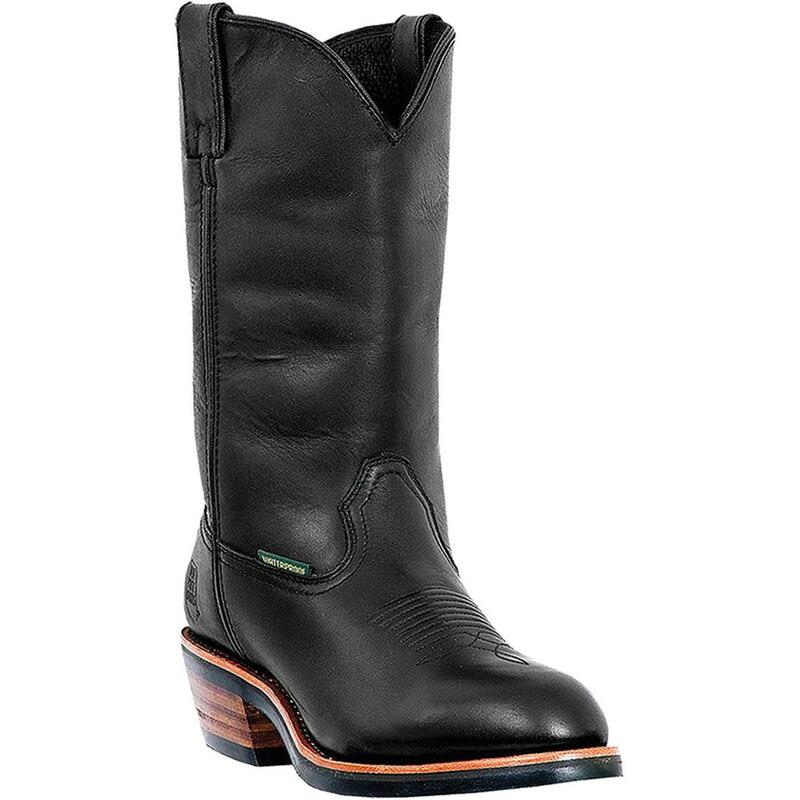 All while delivering the cowboy heel you want for ranching and riding. Dan Post Mens Albuquerque 12 Waterproof Work Western Boots is rated 4.2 out of 5 by 10. Rated 4 out of 5 by EthericKeith from Good Boots The others reviews mention these boots running small so I ordered mined a half size larger and got a decent fit . All the features make it a good deal . Rated 3 out of 5 by DC_RIDER from Runs Small Ordered my size and could just barely get my foot in these boots with no socks on. Couldn't with socks. Had to return them. Rated 1 out of 5 by Big Gee from I ordered a pair of 11 triple eee boots. The boot looked wide enough, but the shaft was so narrow I could not get my foot into the boot. The boots stopped at my calf. You would think that a the boot maker would understand a wide foot is likey accompanied by a larger calf. Not the first time I've found this. Still find it hard to understand. Rated 5 out of 5 by Torqtec from Great boot for the price Ordered back in Sept.2015, I wanted to see how they held up and if they are water proof. Have been worn all winter in the wet and cold western Washington weather. I am very please with the boot. I'm a 10D and boots fit perfectly. I will order another pair.